What are the major freight paperwork and how do we overcome those? If you are using a courier or one of the freight professionals, they do all that for you. You don’t have to worry about the various paperwork, custom claims, etc. This is a skill these guys have been working on for years, they can do it better and more efficiently than you, so let them do it. UPS is around £11 per shipment for customs clearance. DHL is right around there as are most of the others. Since you’re importing the product, most of the paperwork is done by the exporter and you’ll end up with the VAT and the duty. Both of these are calculate off the commercial invoice. One thing the Chinese like to do to be nice, is send the shipment as samples. If they are a sample, that’s fine. However, if you’re shipment is 500 units, that clearly isn’t a sample. At some point, the guys at HMRC are going to catch on and you may end up with penalties as well as your future shipments getting more scrutiny causing delays. You have a proper business, so you want to make sure you do things by the book. It may cost you more in duties, but you want to build your business on solid ground. Another they offer is to lower the cost of the invoice to stay under a certain value at which point things become more complicated. Is that something to avoid as well? At the end of the day you’re evading taxes, which simply put, is wrong. Also, if you get caught you may end up getting put on a list which will further delay you in the future. If one of the customs officials gets to digging around and realizes your products are valued at more than what was declared, they will put you on a watchlist. Ongoing shipments will be inspected and paperwork will be scrutinized which will hold up your shipment. Do you need to instruct your suppliers about commercial invoices or will that be checked by DHL or UPS? A commercial invoice is just like any other invoice. It will detail the value of what your purchased, the goods you purchased, the delivery address, the importer on record’s address, and the commodity code. That is a global code that details what the product is classified as which you can find on the HMRC website. So when the shipment comes in they can charge import duties. Is that something the Chinese supplier will automatically put on the invoice and get right? Well… they’ll put it on the invoice. It may not always be right and there is no way of going back and saying this is wrong, so you’ll just have to double-check it and next time you order tell your supplier that they put the wrong commodity code on it. Which could save yourself some money since the import duties can vary depending on this code. It can range from 0-12% on top of VAT. How is VAT calculated? Is it the value of the goods only? So if I have 500 units that cost $2 a piece, is VAT calculated on that $1000? It is the commercial invoice value + freight + duty. VAT is calculated on the total of all three. Is there anything else we need to get on the commercial invoice? Say I order a shipment, sent to your prep company, do I need to make sure all that is on the invoice and how do I communicate that to DHL or whoever? It does need to be on there, but in Greg’s experience if doesn’t matter. It seems to be a daily battle with FedEx, or DHL trying to get the person on the commercial invoice or airway bill. It doesn’t matte who the consignee is, Greg seems to always get the bill sent to FBA Pep UK at his address. If you look at the paperwork that comes with it, it clearly states the correct customer but they seem to ignore that. How do you handle that, when you get the invoice in stead of your customer? It depends on the customer. Some will just pay it which is fine. Even though it’s FBA Prep UK on the bill, they can’t sort it out. The customer has to contact them and tell them that they will accept that invoice. The biggest takeaway seems to be that it’s best to just use a freight forwarder or use your courier and make sure that your name and the company name is on the paperwork. Those guys are the professionals. They are doing this day in and day out. Sure you can learn it, but that’s time better spend on your company and sourcing more profitable products. Another thing you have to worry about is your EORI (Economic Operator Registration and Identification scheme) number. Which is a number supplied by the HMRC (Her Majesty’s Revenue and Customs). You can’t apply for one unless you have a shipment coming, and you can’t get your shipment into Europe until you have it. It takes about 3 or 4 days to get it, so as soon as your supplier gives you all the detail on when the shipment is coming from, where it’s going to land, the size of it, the vessel number, take that information and you can apply for your EORI number online. Small samples should be ok, your couriers can take care of it. Once you start getting bigger shipments coming in, you’ll want to get your own number. It simply for statistical purposes of what come in and goes out of Europe. This is a 15×15 grid of everything that needs to be done with products. This is why you shouldn’t order 15 different things from AliExpress and why you need help with prep. For more ambitious sellers what are the biggest challenges when trying to scale up? What about people who want to import a lot of one product? Factoring time scales. If your coming by air now, you’re looking at 7-10 days from China to yours or your prep company’s hands. As you scale up you’ll have to start coming by sea which is about 35 days from China to the UK. Then the ship has to be unpacked which is another 5 days. It’s about 40 days from the time the supplier delivers it to the time you take delivery. Obviously, this is something you have to consider. If you’re doing you analysis to determine when you will need more product, you’ll have to add another 30-40 days onto that or risk running out by the time the ship arrives. If you’re used to doing your own prep, as you scale up the deliveries will get bigger. You’ll start getting them in pallets rather than loose boxes. If you plan on continuing to do it at home, you have to consider how you’re going to offload the truck. It’s no longer going to be a van or small truck, it’ll be coming in artics so access becomes an issue. Also, you have to request a truck with a taillift if you don’t have a forklift. That will cost another £40. What about those who want to go from a few SKUs to say 10 or 20 but not a huge quantity of each one? This is common with things like pencils. Where you have one type of product, but 5 or 10 variations. i.e. different colors which Amazon treats as completely different products. Having the product description on the boxes is a huge help. That way if there is a problem with a particular SKU, it’s easier to identify which ones they are without having to open every box. Whether you’re ordering 500 unit of one product, or 50 units of 10, the challenges are the same. Where the challenges would come and the cost would rise, is if your importing products from different suppliers. Now, there are services that will consolidate for you. You can have four or five different suppliers send everything to these consolidation warehouses. They will consolidate those and export them as one shipment saving you money. What do you see coming up in the Prep side of Amazon as a problem? Amazon will start requesting detailed contents of boxes. You can do it now, as an option, and in the US they have started requiring it. Usually if it happens in the US it will happen in the UK. So you will have to communicate that with your supplies to be more clear about what’s in each box especially of you ship directly. They will also requiring packing notes, so when they open the box, they know what’s in it to speed things up on their end. Brexit will likely have an impact on shipping in Europe. Amazon announce recently that they will have an air fleet of about 40 planes to ship products themselves. It’s unknown if freight will change much since it’s a fairly stable and established system. However, Amazon will likely try to takeover that. How can people get hold of you? Brexit has hit UK based entrepreneurs, like everyone else in the UK. But I think it’s time to start reflecting quietly on what this means for your Amazon business. There will be threats and issues – but also opportunities. First and foremost: Don’t panic. Don’t despair. Respond but don’t react! Assess everything with a cool business brain. Don’t be a Polyanna; don’t be pessimistic, either. Just be aware of events and stay aware of threats and opportunities. When you spot the latter, act decisively! The pound now buys you about 15% less in USD (at time of writing) than before Brexit (about 1.30 USD). So now is not the time to start selling in pounds (UK) and buying in dollars from China (nor in fact in RMB, the Chinese currency, which has more or less tracked the dollar). If you are already selling in the USA, and are having funds paid into your UK account in pounds, set up a USD account in the UK Fast (I use Metrobank simply because it was so quick and easy to set up an account; others use HSBC with success) and set up a receiving account with a decent currency exchange (I use Currencies Direct, who are the most cost effective and quickest out of all solutions I’ve tried). If you already have dollars in reserve, I would be inclined to use them to get more dollars, ie sell in the USA. Having said all of which, always analyse each individual opportunity (market research) for profitability/cash needed. There will almost certainly be some amazing opportunities in the UK, just be very careful to analyse the unit costs from China. 1. For now, if you’re selling in Euros (if you have inventory in the UK or other European marketplaces) and are selling into Germany, France, Spain, or Italy, again, get yourself a Euro account in the UK and set up Currencies Direct or similar to receive your payouts from Amazon. Euros are for now worth more than before Brexit. 2. However, I would say that medium term (who knows exactly but I guesstimate within 6-18 months or so), the Euro itself will be hit by crises and thus lose against the pound (worth less to you if reconverted) and against the Dollar, which you need to pay Chinese suppliers (to an extent it has itself been hit by Brexit). I almost guarantee a crisis, if nothing else, because of the Greek debt situation. I’m no expert but it’s pretty obvious that if they couldn’t pay their debts last two crises, next time (when they will have expanded), they will simply have to be written off to a degree (in a “haircut”). The markets are going to hate this and they will punish the Euro. It will probably bounce back, I suspect, but that is way harder to predict. 3. Of course, one way to mitigate Euro currency risk is to sell in wealthy Euro countries on Amazon (eg in Germany) AND buy in Euros from lower-cost countries (eg Estonia). This is something I’ve been exploring in depth but I’ve no practical experience yet. Simply put, tough times thin out the herd. We aren’t in a recession yet, but for people converting pounds to USD, their dollar costs just rose 15%. That may drive some people out of the whole business model. If there is too much competition for your liking on Amazon UK, or from UK sellers on Amazon, this is one way that it will get reduced. It may indeed be the right decision for you and your business to shut up shop. Assess objectively if you can. But equally, if you can ride it out, you will have less competition at the end of the process. If you sell and buy in dollars, you are effectively outside the UK economy and outside the pound’s relationship to other currencies. Congratulations! You still have to deal with the intense competition on Amazon.com but if you can handle that, there is money to be made. For iPhone/iPad/iPod listeners – Grab your phone or device and go to the iTunes store and search “Amazing FBA”. This will help you to download the free Podcasts App (produced by Apple) and then subscribe to the show from within that app. Every time I produce a new episode, you’ll get it downloaded right away. For podcast enthusiasts – If you already listen to podcasts and have a podcatcher that you prefer, the feed you’ll need to add is: http:// amazingfba.com/feed/podcast. For those who don’t have a mobile device – You can always listen to the show by clicking the audio file at the top of this page. In order to keep delivering good product, I now need to do inspection before products leave China. I already paid 30% of my new order which will be ready next week and I’m looking for inspection companies to insure the quality. – What is the best practice: Should I pay for the 70% left before sending the product to inspection or after ? – Are inspection companies fast enough to process the order or it will take them sometime ? days, weeks ..? – According to your experience: Could a 250 items – 80g each take more than an inspection workday ? the product is very simple and has very few moving parts. – Any experience with asiainspection, fbasourcingchina, topwininspection.. ? Normally an inspection company would visit your factory so you wouldn’t normally “send” your z products anywhere. 1. Products inspected after completion and before packing for shipping (Pre shipment inspection) according to your inspection and or testing criteria. 2. Report sent to you by inspection company. 3. You either accept or reject the batch. 4. Then if you accept at that point you transfer the remaining 70% to supplier. If you are struggling with details like this, chances are you need more than just a Facebook Group – you need a peer group and some input from others who have hit your problem and solved it. Best thing is a mastermind – there are many options, including the one I run ( more details here) – pick one and go for it, just be sure that you will get real input into your business though. If mine is full (we have two places left at time of writing), find one to support you, but don’t suffer in isolation! Critical defect – this would be something that endangers the user or others,e.g., product could cut someone or cause a fire. When you define tests or inspection points, you need to define whether any defects related are critical, major or minor. AQL basically defines the overall quality level of a batch of a product.i.e. the %age of critical, major and minor. There are 3 levels, AQL I (low severity) AQL II (normal severity), AQL III (high severity i.e. highest quality threshold). AQL II is considered standard for most consumer products. However, I would consider AQL III, since Amazon customers are very fussy buyers and have a weapon in product reviews to instantly damage your reputation. Feedback from your actual consumers. Feedback in the sense of all info e.g. negative reviews, email or phone complaints etc. Your own use of your product sample(s) and/or your own experience using similar products. You probably will have between about 10-20 points for a straightforward product. If it is a simple product, I would use someone like www.trigo.com, which I haven’t used personally but some of our guests on the podcast have. EBAY: Anybody use Ebay as a pricing model? For example, take the average selling prices people are using to re-sell your product on Ebay and test this as your selling price on Amazon. If I do this, I could likely dramatically increase my net profit. Just having re-sellers on Ebay tells me my price may be too low. Any thoughts? HOWEVER…the only way to really know is to TEST! Use splitly.com (which I’ve used) or cashcowpro.com (which I intend to check out) or similar split testing software for Amazon (these are both only valid in the USA at the time of writing) – you can probably test the price specifically with the criterion of which maximises your profit. Certain splitly can do this. Then you will have some objective data to give you a much more reliable answer. If you do this, please let us all know, I’d be fascinated by the result! What are the 5 biggest mistakes people make attending the fair for the first time? When people don’t plan at all and they get lost and lose their time. Once a phase is over, it’s over. So if you don’t plan out where you need to be you very well may end up missing out on what you went there for. By taking 10 minutes to plan out where you need to be at what time, you can save yourself hours. Danny - remind us of your background in 2 minutes or fewer! Danny first got his start in the music industry selling vinyls years ago. That where he first got to work with products and marketing and all that. In 2008 he began working online with different startups which led him to Amazon last year. 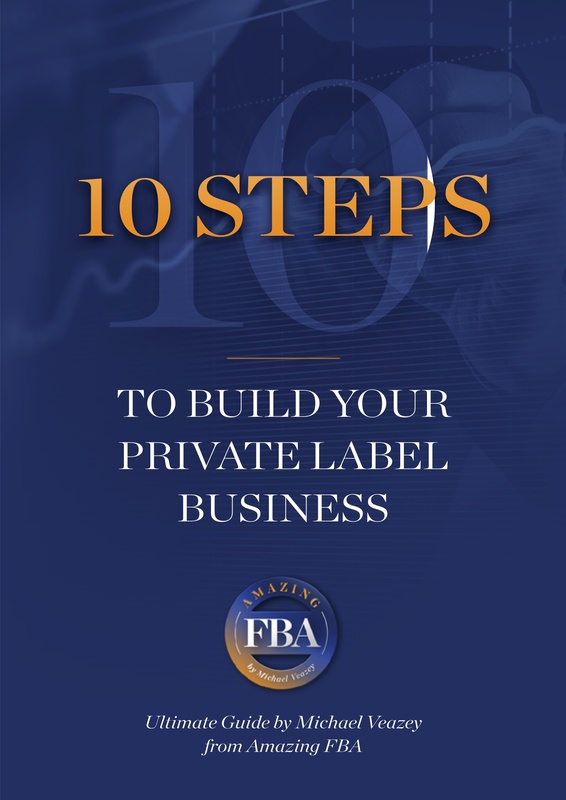 He was able to consolidate the knowledge he gained from those two industries and put them to use with FBA. We are in the process of sourcing our first product and we are struggling with what we need to ask for in terms of delivery. Does the term FOB only refer to shipping (boat)? What is it we need to ask for to get air freight delivered to the door to FBAI (or equivalent) in the US? As we seem to be getting different responses from different suppliers? Incoterms (“International commercial terms” in full) refer to the Freight deal you have with a supplier [aka Vendor=Seller]. More precisely, it shows how much of the supply chain your supplier [the Seller] takes responsibility for, and at what precise point you as the Buyer take on responsibility for your consignment and any costs of transporting it/dealing with import/export etc. The early in the Chain the Vendor passes responsibility on to the Buyer, the cheaper it is but the more work you as Buyer need to sort out yourself. Or of course hire someone to sort out. FOB =Free On Board– strictly only for sea shipping but Chinese suppliers use this for everything! This is okay to use to compare quotes if most suppliers give you the price in that way. I prefer to get quotes EXW=Ex Works i.e. literally just manufacture with no Freight. However I would never place an order EXW unless using a Freight Forwarder. If your supplier will give you DDP=Delivered Duty Paid, this is the most expensive but simplest option. I would always start with this as a new seller unless you have expertise or experience or contacts in the freight/import area. Note the difference between Air Freight and Air Courier. The latter is basically a well known courier like DHL, UPS, Fedex. They have their own channels for clearing customs in USA and are simplest for beginners or if you dislike freight issues! You can always get a customs broker if shipping into USA – I’ve used Western Corporation Overseas for extra security around USA customs clearance. It will add to your costs but can provide peace of mind on first shipment. Bear in mind that Chinese suppliers will know more than you (probably) when you’re first starting out but they are not experts in freight. Particularly bear in mind: They are speaking a foreign language! The nuances between “Freight” and “courier”, for example, may not be clear to your supplier – but they are nevertheless real when it comes to Freight. But they will be very used to using Air Express services like DHL. If in doubt: 1. use your supplier’s courier account; stick to Air Courier; get DDP if possible or the closest you can. OR use a Freight Forwarder if you want to do Sea Freight (a bit more involved for a first batch of first product in some ways but may be necessary for heavy items) or even Air Freight. Q2. Chat [Inventory] Forecasting methods/techniques. How do people project and plan for how much inventory they will need? What is important to consider when planning ahead for growth? 3-4 units is almost no sales history so don’t try to make any predictions yet. Get your reviews, start PPC and then after say 100 sales or two weeks or so you’ll have enough data to predict. Get some consistency if possible. If you’re buried on page 5, 10 etc, your sales will be low and also therefore will fluctuate a lot in relative terms. weeks of inventory cover=350 units left÷35 units a week sales=10 weeks’ cover. If your Lead time between placing an order and actually getting product live on Amazon is say 6 weeks, you will need to reorder at 6 weeks out the latest. Better to add a couple of weeks for delays. Bear in mind delays at Chinese ports, delays getting into American ports especially before Xmas, processing at FBA Inspection etc, esp. in 4th Quarter , time to ship to Amazon etc. If you have a duff product, e.g., no sales, no profit, you may not even choose to restock it. But if you do have sales and it looks profitable or that it will be next order, then this all becomes relevant. Q 3: Ben Leonard: Inspection. My supplier is experienced, appears professional, stocks a lot of FBA sellers, and is very helpful. They have agreed to send me photographs throughout the process of manufacture, pre-labelling, and during packing of the order ready for shipping. I plan to put in place a purchase order contract which covers all of these. I have no reason to believe why they’d send me a poor standard of product (samples were excellent), and we have already both expressed desire for a long relationship. In this situation, would anyone here risk not having inspection? Perhaps inspect once, and then not again, or not for another 3-4 orders? Michael: My answer is simple: yes inspection is necessary. Definitely on the first order. No question. The fact that your supplier is responsive and experienced is an excellent reason to work with them in the first place. But that is just good due diligence on your supplier. Inspection is a separate matter. Listen to the 2nd half of the interview with Manuel Becvar and read notes -it has your name on it! www.amazingfba.com/53. If it’s a simple product, a man-day (sorry ladies, that’s the standard term, sexist I know) will cost you just 100 USD with Trigo. Either way there is no reason to skip it and every reason to do it. If I were you, I would just get that set up and move on. 100 USD is peanuts to have peace of mind and avoid negative reviews. As Sellers we sometimes don’t consider the sheer expense of one negative review. If it’s early days and you have say 9 reviews with 5 stars from review giveaways and you get one 1 star review, that means average review drops from 5.0 to 4.6. That could easily halve your conversions. Assuming your Pay per click costs stay the same, that could easily mean you go from profit to breakeven or even to loss. You could lose your 100 USD within a week or less and then continue to lose money until you’ve either got rid of your one star review or buried it under new giveaways. If this happens, just deal with it of course , it’s not the end of the world – but why not just take simple steps to avoid or minimise it in the first place? How do you keep your money safe? When you place order, tell them you’ll send an inspection team when 80% of production is finished, you’ll have to redo the goods and pay for the reinspection, and you’re not getting the rest of the money until the inspection is passed. So never do 100% upfront payments; always pay 30% upfront, 70% when the goods are passed. Even if you just order $1000, please get an inspection; there are companies that will do an inspection with a 20 page report for $100 for one man-day, eg Trigo if it’s simple. They send someone to factory and send report. Others are more like $300 for one man day eg Asian inspection for difficult products like electronics. But no use for say a comb or a brush. Manuel has 17 years’ experience in electronics, knows what certificates are needed and which components to inspect. He doesn’t recommend it as 1st or 2nd product. But just get certificates, experts in electronics inspection. There is a higher defect rate – Manuel’s is about 4%. Lots of customers just don’t know how to deal with electronics, so they often send it back even though it’s working perfectly. Is there a way to reduce defect rates? Take reviews and customer complaints – Speak to supplier – 5/10 of reviews have this issue, can you improve on this? Also speak to inspection company and have them focus on those issues in future inspections. But Manuel does all this and still has 4% defect rate. Anything below 5% is okay in electronics. Above that, consider abandoning the product. Air freight vs air courier -what’s the difference? Air courier means someone like DHL, UPS, Fedex etc. They have special customs clearance channel and they handle the whole process for you. So it’s more expensive. An “All in” solution – where to pick up, where to deliver. Air freight is same process but it’s usually a logistics company that works with big airlines e.g. China Airlines. There is more paperwork involved and you need to be involved. You need a customs bond, you are the ultimate consignee. You need to know the process. Manuel has had rates for air courier of $4 /kg and for air freight of $2.30/kg so it can be a $2 difference. Simplest solution is to ask the supplier about air courier or freight. Or ask their freight forwarder. Give them USA/UK address, tell them you need duties/import taxes upfront. If supplier has no Freight Forwarder, just look on Alibaba or Google. If you have to do DDU [Delivered Duty Unpaid], how do you avoid problems? Suppliers usually have no idea how to deal with freight etc. – they are experts at manufacturing. Manuel works with a Freight Forwarding company DDP [Delivered Duty Paid]-it’s all in. They pick up at factory, they ship it direct to Amazon. He doesn’t get involved in customers clearance or amazon pickup appointments. In the beginning he had to explain how to book appointments with Amazon. So you ship direct to Amazon? Yes. Always directly from China to Amazon warehouse. What do you do about damage to packaging from Air Freight? It’s a small %age. Always put a label saying “Fragile, handle with care” – this helps. How did you train your Freight Forwarder? They are based in Shenzhen head office. They knew how to deliver to USA -but they had never delivered to Amazon. Manuel chose based on price and helpfulness but had to train them in delivering to Amazon. He gave them a clear workflow. After 2nd order, no more hiccups. So you don’t want someone who doesn’t know about exporting to USA? True. If you can find someone with great price and knows about delivery to Amazon, even better. Manuel recommends Dolphin Logistics, based in Shenzhen. Reach out to Manuel if you want more info. How did you get $2.30/kg air freight price? $6 for air courier is average. Manuel gets good prices because he ships 28 m3 a month! To make it simple, give your air freight forwarders a clear business process. Tell them they need to deal with Customs brokers and make appointments with Amazon. How do you send inventory direct to Amazon from China? I guess you save money with intermediate steps but what are the risks and how to you mitigate them? Manuel thinks it can all be done cheaper in China. Get them to put FNSKU barcode on inner packaging, prepare cartons according Amazon requirements e.g. size, send them the shipping labels from Amazon seller central and you’re good to go. If you have more than 20 cartons, the supplier needs to palletise the boxes in China, otherwise Amazon will give you a hard time! If you have fewer, it’s okay for Floor Loading. How else can you speed up your supply chain? Don’t take care of the details yourself. If you have 10-15 products and have customer service, taking photos, etc etc – outsource everything you can to inexpensive VAs. Retail! Go to local store and ask if they want say 50 units. Manuel actually started own business selling to retailers (through his time in HK) because he just thought Amazon was another eBay. It’s easier to start on Amazon, built a brand, built a reputation for products then reach out to retailers, DIY stores etc etc to sell wholesale. Any other tips on the best way to approach retailers? Start locally. Look into smaller importers that set to big brands at an exhibition & approach local distributors. If you can’t go physically go to exhibitions, go to exhibition websites and check then names of companies that exhibit, check them out and email them! Are there other ways other than unique products and high quality to protect your brand against competition? One thing is to have Amazon brand registry. Other than that, be better in terms of quality. Don’t give the competition grounds to attack you – quality, customer service – try to be an awesome company. Even if first few months not highly profitable, eventually it will pay off. What is your prediction for competition in the next year or two? How do we protect ourselves? Manuel had 6 enquiries last month in his sourcing company for a product that everyone is selling! Nobody has any imagination, it seems! Be unique, have expertise in your product and be creative. Yes, competition is increasing but so is the market – Amazon has 51% of the (USA) online sales. There will always be a customer for [good] products. The USA population is about 300 million people! How can listeners find out more about you or learn more from you? Go to importdojo.com – there is a contact us page – or email [email protected]. This episode, #51, is the first of two parts of the interview with Manuel Becvar of Import Dojo. Manuel has 11 years’ experience of sourcing in Hong Kong and China and also is an Amazon seller with several product lines live and selling well. What took you to Hong Kong? Went there for a 6 month internship for an Austrian electronics firm in 2005. He was handling sourcing from suppliers. He fell in love with the city and a woman and never left! He loved the drive and opportunities of Hong Kong. Very expensive but great place to live. Do you also sell on Amazon? Yes since August 2014. Also documented launching a whole brand. He currently has 7 products and 10 more coming in the next few months. He’s focussed on getting after 3-5 categories in different categories. He launched then stopped a few more. He has several businesses which were more of a priority till now. Sourcing company in hong kong for amazon sellers. A consulting and import course, step by step guide to import from china and sell on amazon but also sell to retail. He started out with a consumer electronics brand, selling to retailers in Europe under own brand and their own brand, but also now on Amazon. Now Manuel is focussing on his own Amazon business as it is really picking up. Tell me about stopping a product? He used to sell smart phone accessories but then the prices got so low there was not much profit. Electronics can be very competitive. What’s your process for selecting products? What are your selection criteria? Do you go by the numbers of individual products? Or build a brand in a niche? Manuel is more old fashioned, doesn’t use Jungle Scout or ASIN inspection so much. He subscribes to relevant product websites. newsletters, goes to trade shows. Also looks at Kickstarter and Indigogo for product concepts. Manuel doesn’t look into creating a huge brand in one category. Tries out one product in a niche e.g. coffee press. If that takes off, build into that niche. If not, don’t go into say grinders, filters etc. Coffee press now selling about 20 a day. How do you beat the competition? you need to stand out to beat the competition. Tries not to copy the competition. This is his approach. Will Tjernlund does copy the competition, but Manuel is more interested in creating unique products and building a brand. How can we make a product unique in a simple way? The sample looked bad, plastic finish, bad sound, packaging horrible. The finish rubber instead of plastic was 20 cents more but immediately looked better. Then looked at components, sound was bad, different driver sounded much better and cost just 50 cents more. Used photographer to get better photos. He turned a $10 product into a $30 product but only cost him $2 more. Focus on finish, minor improvements etc. There are lots of stainless steel finishes, but no copper finish. So Manuel had that done and added in extra filters etc. Look at the little things you can change. Tell us about working with suppliers. What’s the best way to approach your supplier about this? Create an excel file or word doc about the product- include bullet points, this is where it’s at, this is what i want instead. Also point out that if you improve the product, they will make more sales with other customers as well. so they are more willing to make changes with costs. So you’re not trying to get an exclusive deal with them? How do you get an exclusive deal for amazon rights? This give Manuel 6 months to figure out if he wants to place more orders and it means the supplier can make more profit too after 6 months. Manuel is okay with that because he would have a head start, maybe 100-200 reviews already. It’s okay to have competition. It’s not all about one item only. Manuel is happy if he can do 6 months of excellent sales on one product. That repays the time and money invested already. Greg Mercer was saying if you get 6 months’ head start, you can defend your product against competition. So you agree with that? Where do you go to look for suppliers? Manuel has collected over 1000 business cards for suppliers from previous job being a product manager, when he went to China every 2 weeks. Manuel also works with a lot of trading companies. He will sometimes be willing to pay say 50 cents more and use a trading company, similar to agent. Some of them work as if you are working with factory, for example if factory doesn’t speak English, don’t know about country requirements eg CE (European Union), FCC (USA), FDA (Food & Drug Administration, USA) approval, doesn’t have experience exporting to a country, etc., etc. So working with a trading company can make a lot of sense. Alibaba and Global Sources Manuel does use if he can’t find anyone through his network – you can verify and vet the suppliers. You can still vet them by checking their certificates, asking who they work with, Which markets they export to etc. It’s also good to know a few names in the industry eg small supermarket or worked with an Amazon seller before. Check business certificate. What are the big does and don’ts for selecting a supplier? Assuming Alibaba, Global Sources or HKTDC and someone who is new to the process. There is a lot of filtering you can do. e.g. a microwave on Alibaba, filter by Gold Supplier, trade assurance, 3rd party verification. You can also filter by region – say 10 different provinces of China. Let’s say Guangdong have 5000 suppliers and another has just 10. That shows you where the main factories are for this kind of product. If a region specialises in making those products, they have the resources and the infrastructure. Say in Jeijung province, with 10 supplier results, they probably don’t specialise in that. There are many other filters you can use. markets. Has he exported to this country before? no workers; when company established; annual turnover. do they do R & D? Have their own engineers? how many product lines? You get a gut feeling after a while. This is included in import dojo ebook as a downloadable document. Import Dojo is actually a 60-page book which is a bestseller on Amazon! It is free at the company’s site. What’s next in your process? Get a soft copy of any certificates needed – prove he has it! IF that’s okay, then ask for a sample from at least 2-3 suppliers. Same process with all suppliers. If all samples are equal, go with most responsive/proactive and helpful supplier, even if price is a little higher. Then place an order. So you’re okay with higher prices? They need to make profit too, they work hard. The factory will be business partner, it should be a fair biz relationship. As long as profit is built into your price, it’s fine to pay a little bit more. If you’re building a brand, if you squeeze in cheap products, it won’t help. I guess it depends on whether you have customised products vs. commoditised products sold en masse? Yes, I’m building a brand, so selling cheap products to make a quick buck is not part of my strategy. What is the best tip for negotiating on product price once you have verified that the quoted price is in the fair region? Should simple customisations really cost that much more? There shouldn’t really be a big difference. Unless the supplier has to invest money into a new tool or a new mould. If it’s just a colour difference, it shouldn’t be much. To find if it’s reasonable, ask at least 3 suppliers for a quote. IF one is way off on price, he’s either incompetent or trying to rip you off! To contact Manuel, click here for the Import Dojo contact page. In Episode #52, Manuel gives details on keeping your money safe, getting quality control for Electronic Products, simple ways to start with Freight, overall process and predictions for the future of Amazon. Stay tuned! This will help you to download the free Podcasts App (produced by Apple) and then subscribe to the show from within that app. Every time I produce a new episode, you’ll get it downloaded right on your iDevice. For Android listeners – Download the Stitcher Radio app (free) and search for “Amazing FBA Podcast.” Or, if you have already downloaded a podcasting client, follow the directions in the next sentence. If you have any queries, just go to www.amazingfba.com/ask. So a product jumps out at you from the universe. Can you talk us through your process with a new product (from selection to re-ordering)? What are your criteria/ numbers? Look for main KW “The thing that it is” on page 1 – using Jungle Scout, Anthony wants to see at least 60% of sellers doing $15,000 sales each. He wants a handful under 250 reviews. They’ve probably been there under a year, so there’s room for AL to take some market share. He’ll glance at BSR – a number between 2000-4000 =mid competition. Anthony is confident he can easily get on page 1. 80% of all factories in the world are in China – it has lots of real estate, dedicated to factories. Everything AL sources is located in China. Next step is to find a supplier using Alibaba, Global Sources,. Global sources is his go to place. HK is an easy place to reach and many of their suppliers go to their trade show. HKDTC (never had much success so far) and Made in China as backups. Criteria: Gold Supplier for 3 years – they have to pay for that. Make sure they take some kind of secure payment -they’re probably not trying to rip people off. Send out your enquiry. Ask for samples first – if it’s crap, cost doesn’t matter! 3-4 samples generally. You pare down – send emails. certain %age come back; ask for samples; certain %age respond. Whittle down to highest quality then pit them against each other for quotes. ALWAYS make custom modifications. Put logo on product not just package, have the product itself your brand colours. Better for brand and for hijackers etc. Give them design specs, place a 30% deposit but have them send you a sample of your design. Use that to check quality and for photos. How do you deal with Quality control? Have an inspection co. like Asianinspection or Richforth. Contract them for a man day (unless it’s electronic in which case you might need a week) 300 USD for one man day. Have it set against a margin of error. So you know it’s good to go before you leave the factory. You can work with a sourcing agent. It’s just hard to find someone you can trust. Most of them are very much making a deal with the factory and you. Get paid on the front end and the back end. It turns out AL has 15 years’ experience as an importer and AL is now communicating with him. That will help with QC – they can check factory, batch inspection. The real low tech way/cheap way to do it – find someone on Upwork to go to the factory and send a Skype video or pictures of the production line or products. Have them toggle switches etc. What are the biggest issues you’ve met with suppliers? What are your best solutions? AL has been “lucky” but that’s because he has a lot of hoops to jump through before he’l work with them. He’s heard the horror story e.g. sample quality not real quality or jack up prices last minute etc. Not experienced yet. The best way is to very very thorough about selection process. What other hoops do you make them jump through? Communication. How responsive are they? If it takes 2 days to get an email back, am I a priority? When we get to a certain point, what’s your Skype? how about your mobile/cell phone? see the factory. 2. How willing are they to do it? The factory is your biz partner – they’d better act like it! If you were gong into biz with someone in your own country how you would you want them to act? How do you handle freight? Supplier’s carrier? How do you deal with inventory management? It’s a big area of confusion! AL does not have a courier account with DHL etc. because he doesn’t do much air freight. He just uses supplier’s courier account for samples – he even has a standard template for samples. For everything else he uses sea freight as it is significantly less expensive. Generally he shipped LTL (Less than a Truckload /LCL (Less than a Container Load) although now mostly 20-40 foot containers. Because the closest US coast to China is the West coast, and the most common port is Longbeach, he specifically looked for a Freight Forwarder in LA. So that is freighting by sea and delivered the shortest distance. Then he does LTL pickup by Amazon who picks up palletized and labelled units ready to go to Amazon. SO you’re looking for a one-stop shop for warehousing and freight? Yes, wanted to make process as easy as possible. They contract with a customs agent to handle the customs clearance. AL just gets an email with the bill. They make it really easy. An alternative is to use Asia based Freight Forwarders – they get amazing deals on fast boats out of China. So you need to go through the same process. Amazon decided that everything is going to Moreno CA so West Coast made sense. However, every time they have a strike, his products get stuck. The absolutely best way is to go out and get as many quotes from FF as possible. As lots of questions and get one that will take the time to educate you. One of them might say “Well our clients do it this way” and make a suggestion. Tell us about inventory management – when a product is selling, what then? What about “Killing off” products with low sales or low profit? AL doesn’t yet use inventory management software – doing it manually is a pain. It’s tricky because you base reordering decisions on two weeks’ sales; then you get a spike in sales and you will run out of stock. The other danger is demand drops off instead and you buy too much inventory so you pay high warehousing fees. That’s when supply chain management evolves. You need to look at warehousing deals so at some point you can bring in whole containers and bring only a couple of pallets to Amazon. Every product is seasonal. You need to be in the game before you learn that pattern for a particular product. A store manager might be your first hire – a necessary one if you’re going to have and grow a business based on importing. When to let go of products? A lot of people come in thinking they need to make lots of sales or it’s over. If the product is still making you a profit, you should maybe reconsider. Even if it’s only a small amount. If you get 5% return, it’s worthwhile. What’s your approach to cashflow management? Al is just starting that conversation – chances are you will run into this soon enough. The solution is not in the system itself. Cash injections become important. Leverage whatever skills you have. A lot of people want this skill but don’t have time to develop. A lot of retailers are on a 36 month contract and paying whether they make sales or not. You could come in with a solution and make them extra money. You can work out a wholesale deal. You can do consulting. Whatever comes your way. What’s working well right now in your business (that you can reveal)? Finding great margin deals by establishing relationships with factories and suppliers. Then get on page 1 for main keywords. AL has one product only selling 2 a day which will kill it in Q4. What are the most successful sellers you know doing right now? One person is leveraging Facebook advertising for both Amazon and Shopify sales. Either learn an avenue really well, or pay someone else who knows it really well. Another friend takes advantage of every single offer. Every beta programme they do, she takes it. She’s got someone at amazon who answers her email. She is killing it! Find an area where you can get visibility for your products and get really good at it. What do you see coming in terms of changes that we should be thinking about adapting to… In the next year? Predictions are mostly wrong! But a focus of unique products is coming – we’re in the middle of a Kickstarter crowdfunding craze. SO AL assumes that Amazon will get a lot more of untested unproven concepts coming out. This might be the next generation of sales. The marketplace has proven they like this kind of thing. There will be a lot less competition for those products. If you have an idea, this will be growing, -there are prototyping companies out there, go for it. Do you have any parting words of advice? The most important thing is: understand you are serving a marketplace, a niche, not just selling a product. Treat it like a business – it’s an investment – go at it with a calm pulse, understand that it takes time. The growth curve is never easy, it’s never in a straight line but stick with it.